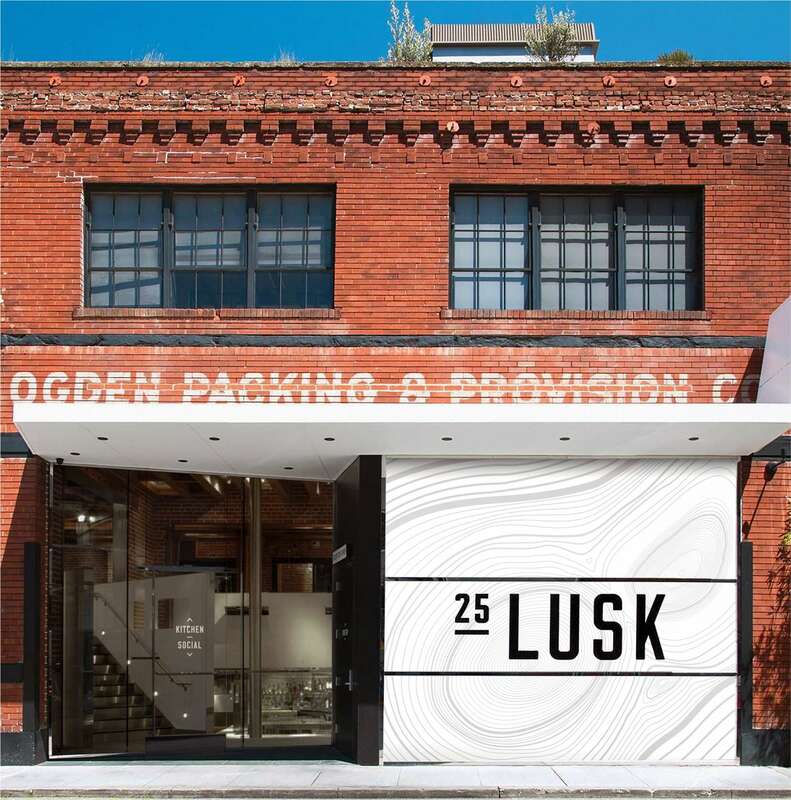 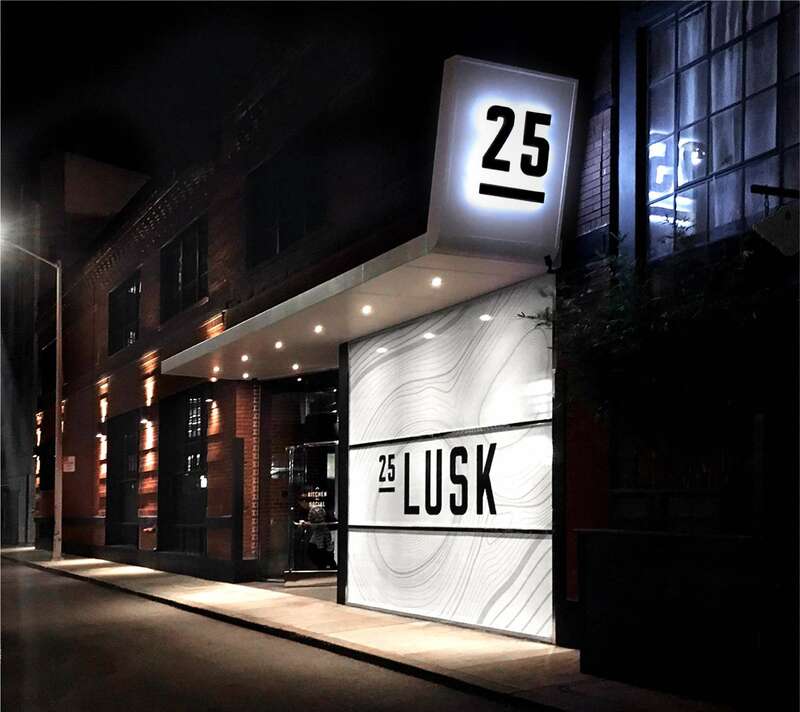 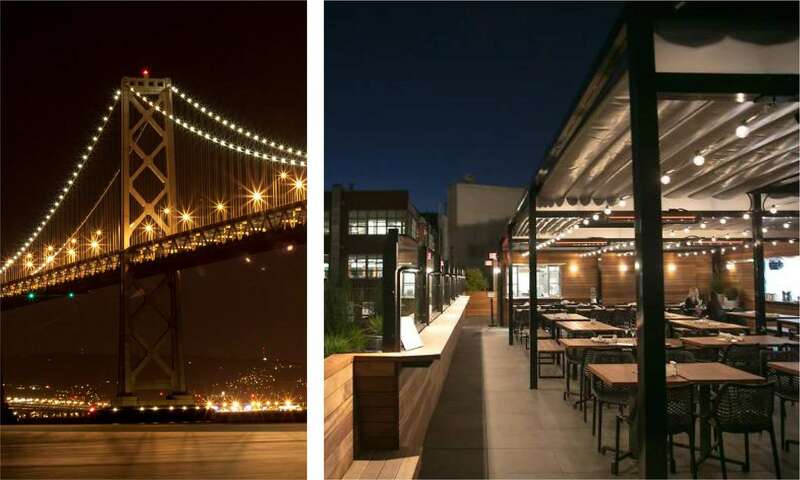 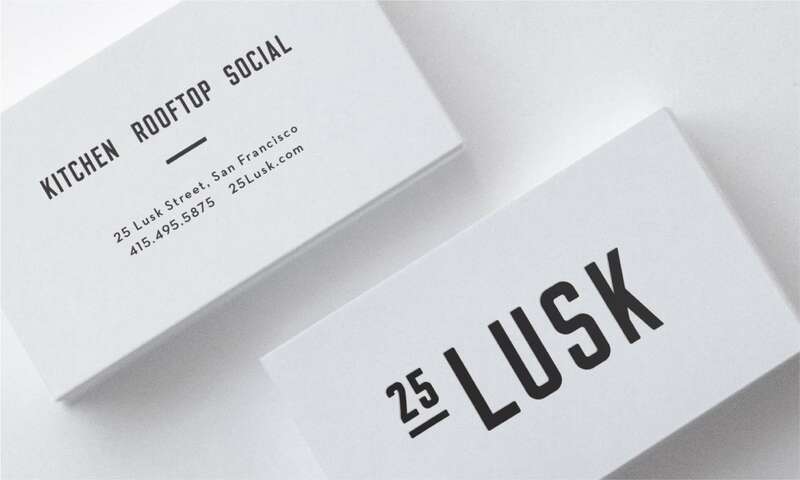 25 Lusk, located in San Francisco’s SOMA district, is a restaurant, lounge, private events space and a newly opened rooftop bar. 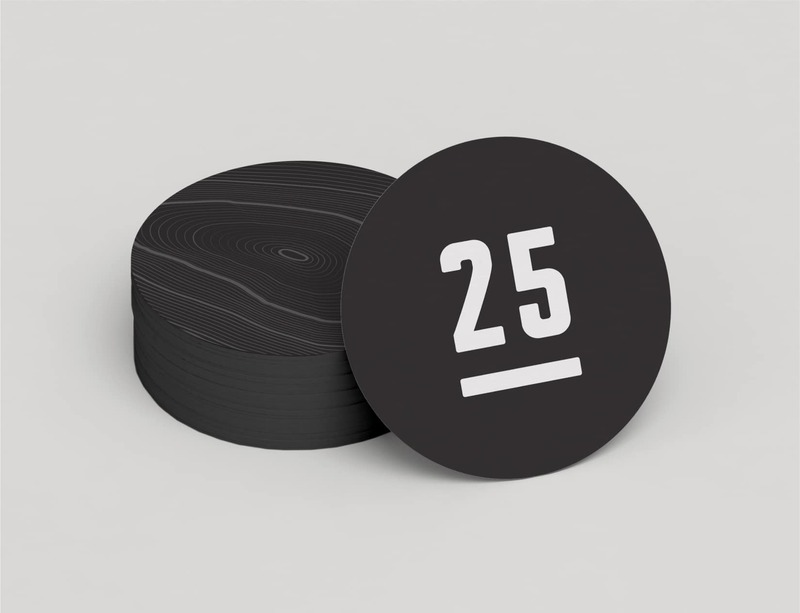 PSD developed the naming for each of the locations and came up with a clever wayfinding system for people to find their way around the different levels accessible by stairs and elevators. 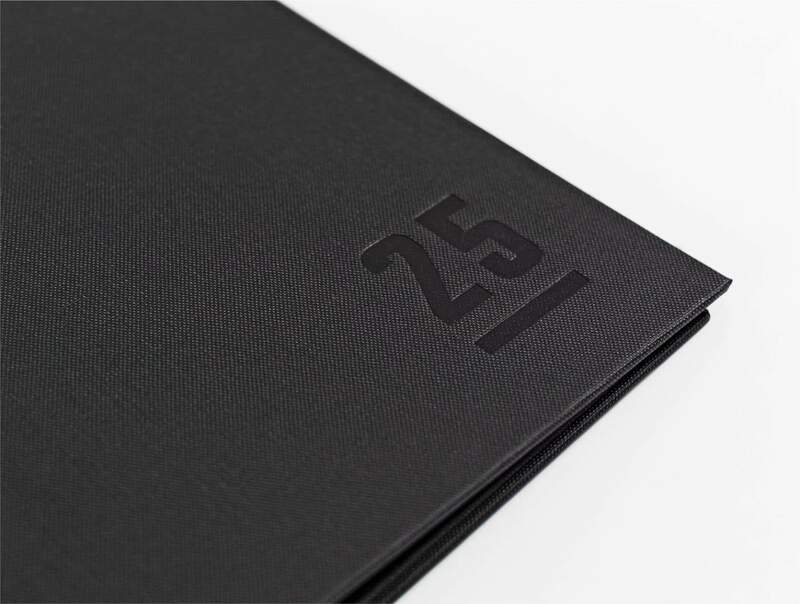 PSD updated their existing brand and gave it a bold new look. We took a plain entrance and updated it with an eye-catching facade and marquee. 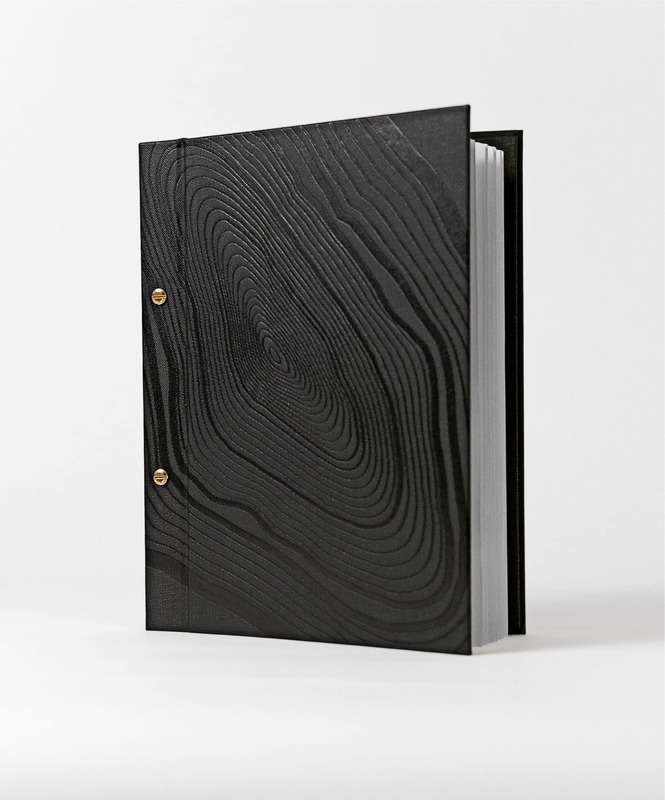 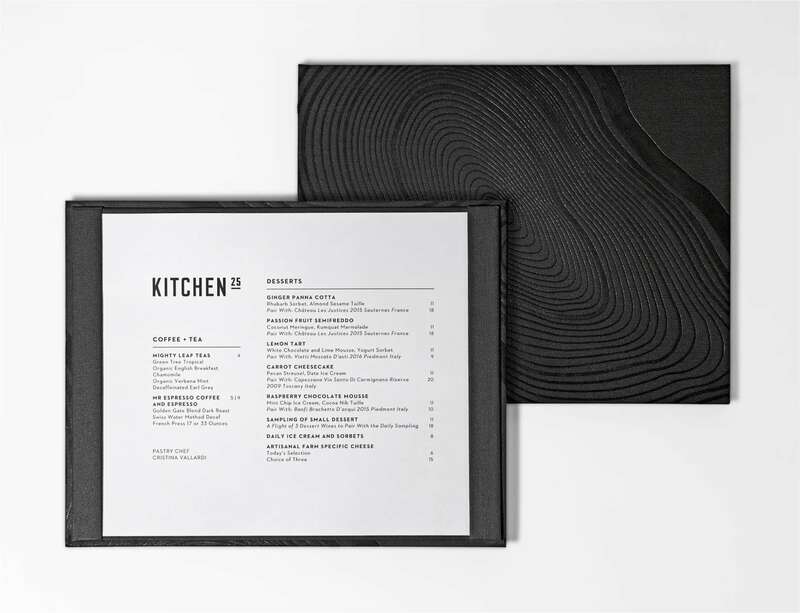 The design on the front window represents wood grain, which is present throughout the space. This was reflected on the signage, menus and printed material.